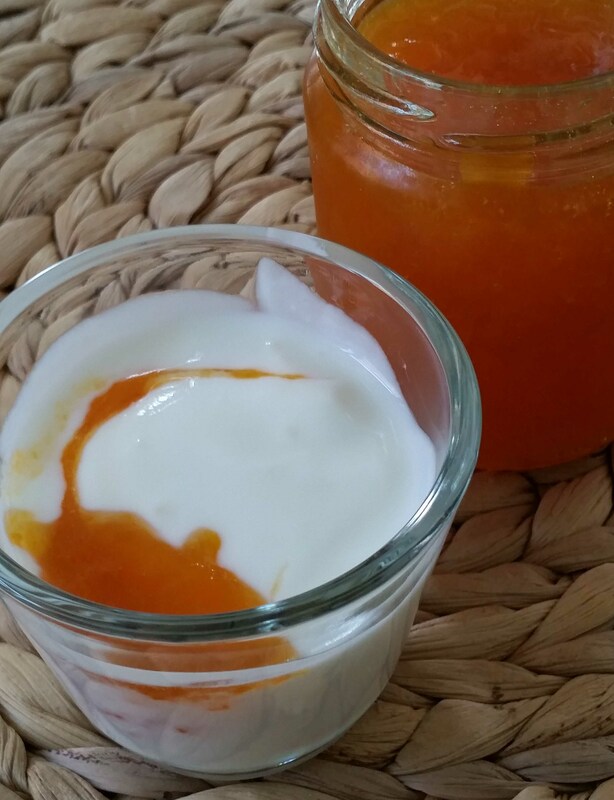 Having just made a new batch of apricot jam, I want to record the recipe for future reference and share it with you too, if you’re interested in that sort of thing! The photo above shows it being used as a natural and fruity flavouring for a yogurt. It’s obviously also good on toast or as a glaze for cakes or meats. This made about 4 1/2 jars. Chop the apricot flesh roughly and add to the preserving pan with the water and lemon juice. Bring to the boil and simmer for 15/20 minutes or until the fruit is soft. Use a potato masher to crush the fruit if necessary. Add the sugar and stir continuously until the sugar is fully dissolved. Turn up the heat and boil vigorously for about 15 minutes until the jam has reached a suitable thickness or gelling point. Pour into sterilized jam jars and seal. Tip – microwaving each lemon for a few seconds will allow you to extract the maximum amount of juice from the fruit.